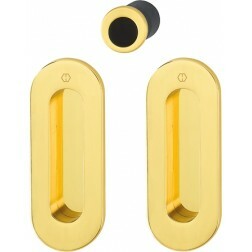 Hoppe oval pocket door handle, M472 series for sliding door. With pendant to close and emergency opening button, perfect solution also for the bathroom doors. 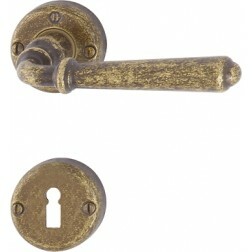 This is a wonderful type of handle for sliding doors of the most sumptuous Hoppe collection series. It's a high quality handle because it is manufactured using pure brass and finished with homogeneous color without a minimum smear. Both finishes available are covered with a protective layer patented by Hoppe called Resista. For rustic furniture however, we recommend the artificially antiqued finishes of Antiqua Hoppe line. These handles are not afraid of the weather and the dirt, and it can be cleaned completely using only a damp cloth. The size of each handle is 116 x 44 mm. While the thimble is of 30 mm diameter. Version equipped with lock.